Ever wonder if Wayne Newton sang an Elton John/Bernie Taupin Song? How many versions of "Believe" have been recorded by Elton. How many songs have not been released by Elton but released by other artists? 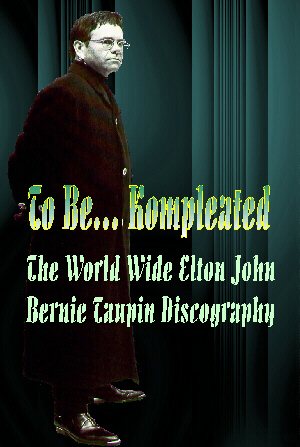 "To Be... Kompleated, The World-Wide Elton John/Bernie Taupin Discography"
The Discography now contains over 38,000 individual entries in the database. Check out the NEW Winter 2013 PDF version of the discography. says you are the visitor since June 18, 1996.